I'd like to shuffle some characters around and find more designs that I'll click with and want to forever home. Who would you be willing to trade them for? I'd be willing to trade Mumu for them! Hmm, may I have time to think on it? Would any of those birdfolks interst you for those kiddos? ahh i'm sorry, I'm not really interested in birdfolk atm! It's alright, thanks for looking! would you be interested in any of these guys for your birdfolk, jollieraptor, or byuubuu myo? Heyya, I don't think you sent a link! 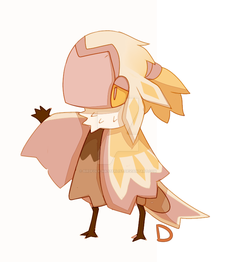 I would trade either the myo or birdfolk for this one! Alrighty, then I didn't really see anything else I clicked with, thanks tho! im interested in these guys! does something catch your eye in here? toyhou.se/BentoCase/characters… minus the grems and anything tagged as tentative i'll be pickier with! he was a gift so im not really comfy trading him im sorry! thanks for offering tho ! thank u for offering anyway! I know I already offered on it but I have a more organized folder now with more ocs so I thought I'd offer again! toyhou.se/theflowerpirate/char… anyone/multiples here for the tyto myo slot? :0 the JR was given a JRM potion by the previous owner as well! Alrighty! I think I'd be willing to trade for them! Oops. I sent my reply too early. Do you want me to transfer them to you over on TH? .o. or do you prefer a stash? Reselling some adopts! [open]Looking to re-home some designs I didn't end up using. Trade / sell journals ONLY!